Happy Valentine’s Day! I hope you are having a ‘love’ filled day where ever your little heart may be. 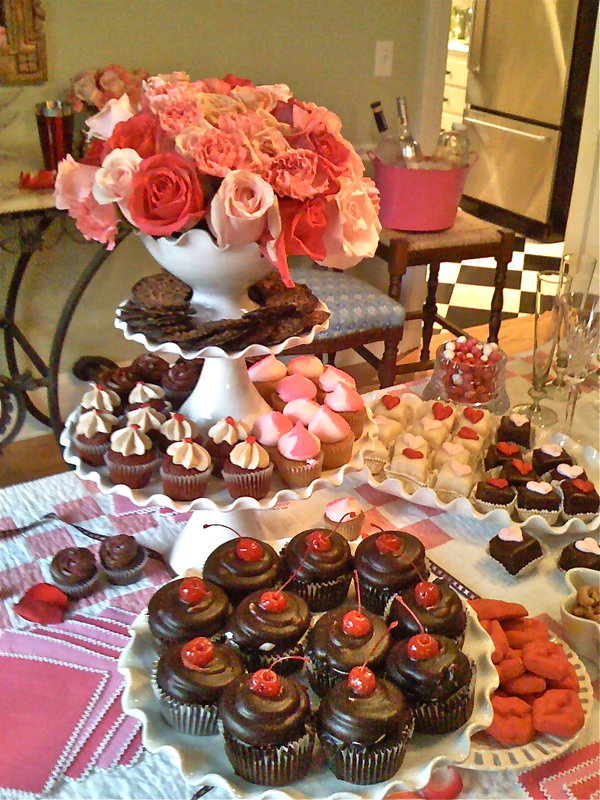 This is a little ‘heart’ day post to share a great party idea you can steal for next year. My afternoon cocktail party was ‘come as you are’ the day before Valentine’s Day–not to interfere with anyone’s romantic plans. Oh my goodness. Lissy – just breath taking. You pull it off everytime. Where did you get the cupcakes? They are perfect? And the roses – just gorgeous!! Beth, The cupcakes were from Cami cakes and Henri’s, the flowers were from Fresh Market-they have the best roses. I hope to do this again next year. This is lovely Lissy! 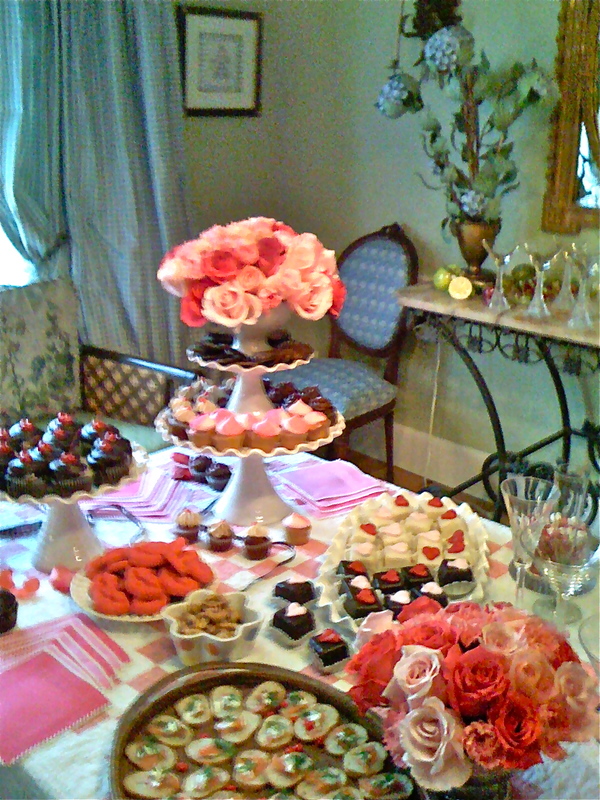 The table with all the wonderful deserts and roses is beautiful! Also love that quilt! Would of loved to have been there! Looks like you had a great Valentines Day! Lissy – this was just beautifully done! Brava! 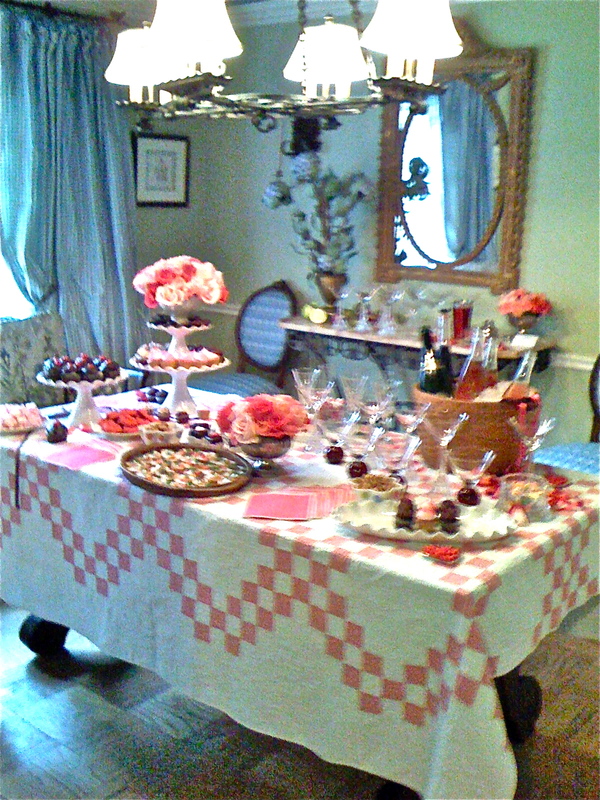 I love the old quilt and the way you arranged everything and stacked the cake stands – FAB! And that last photo is especially beautiful and definitely Pin-worthy!!! Frances, Thank you so much! They were old photos-even photoshop would not clear them up. It is a very fun party.